Back in July we set off on our way back to the UK for the summer. Within a few hours we had driven through Spain, France, Spain again, France again, Spain yet again, France yet again and inevitably Spain and France once more time each before we finally reached Andorra. The reason? 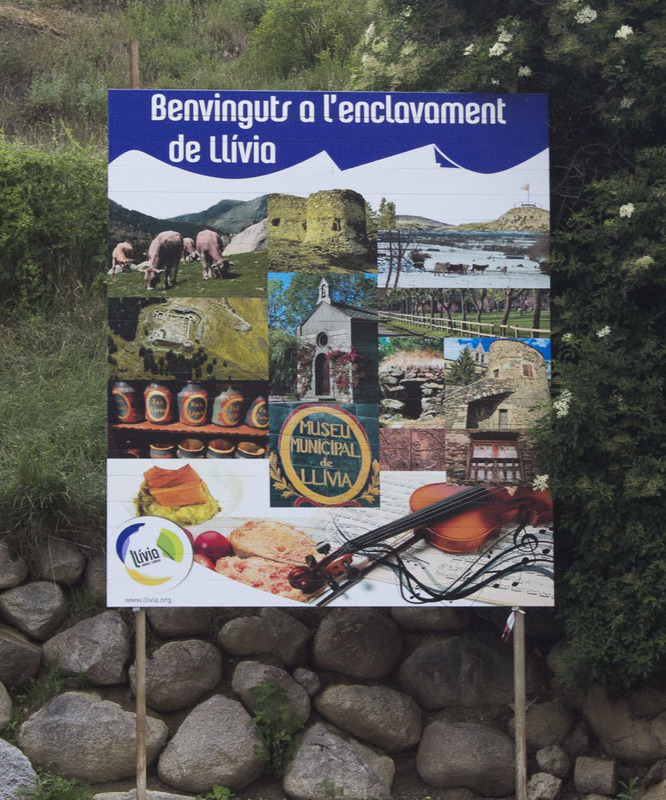 We had decided to visit the Spanish enclave of Llívia, a little piece of Spain surrounded by French countryside. 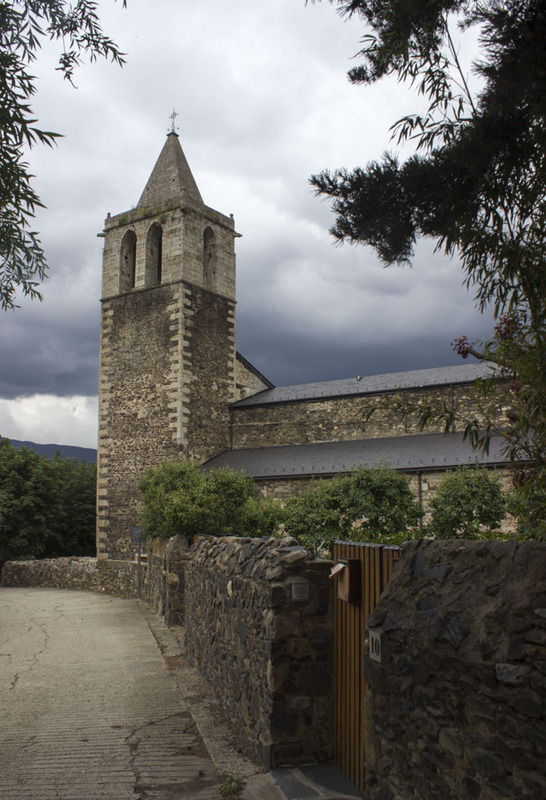 Once up in the Pyrenees, the roads became narrow and, to quote Trish’s diary: “we could see why it was so wiggly on the map!” The serpentine roads were the least of our worries though as thunder and lightening reigned supreme and we drove through some incredibly heavy rain. 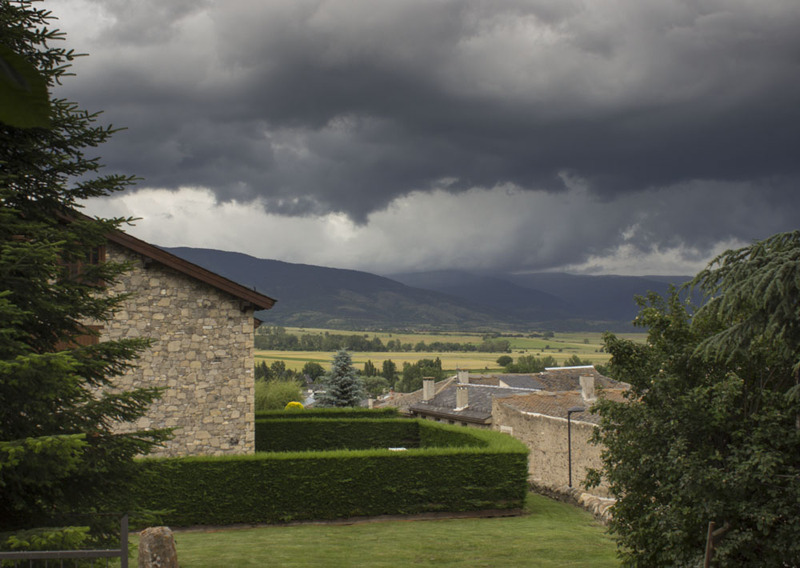 The skies cleared a little as we reached the frontier town of Puigcerda. First of all we took the wrong road into France, the one that doesn’t lead to Llívia, so we backtracked back into Spain and found the right road. A little more than a kilometre of French countryside was passed through before we were once again in Spain. We wonder what it was like when borders still existed! We parked up in Llívia and braved the once again darkening skies to explore the village, sorry, city. I say this because it is really just a large village. Why then, is it part of Spain when the rest of its surroundings are part of France? Well, than answer goes all the way back to 1659 and the Treaty of the Pyrenees which heralded the end of the “thirty year war”. 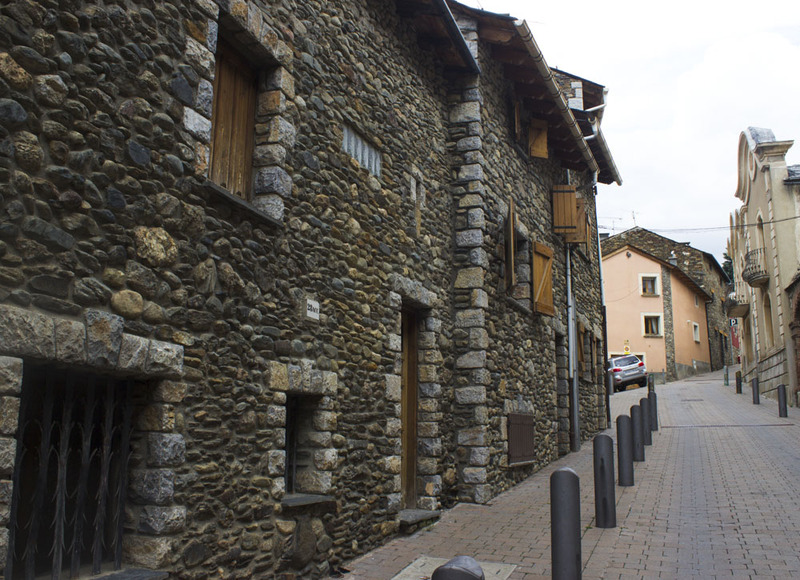 All the Spanish villages in the area were handed over to France but, due to an administrative technicality, Llívia was listed as a city and as a result was not handed over. Here we are nearly 400 years on and still this anomaly exists. In reality there’s not a lot to explore. There are some pretty little streets but it doesn’t really look any different to any other Spanish village, sorry, city, in the Pyrenees. There are even Catalan independence flags fluttering from many balconies. The air was fresh though, and it’s not until you breathe it in that you realise how unfresh the air is down at sea level. We made our way up past the closed shops (our timing could not have been worse if we had wanted to do any shopping!) towards the church which stands at the top of the town. (There, I’ve said it, I think it is perhaps a town!!) The views were great but the black clouds were creeping down the mountainsides and we decided against visiting the museum, choosing instead to try to get back to the car before the rain arrived. We made it – just! But the rain didn’t arrive. 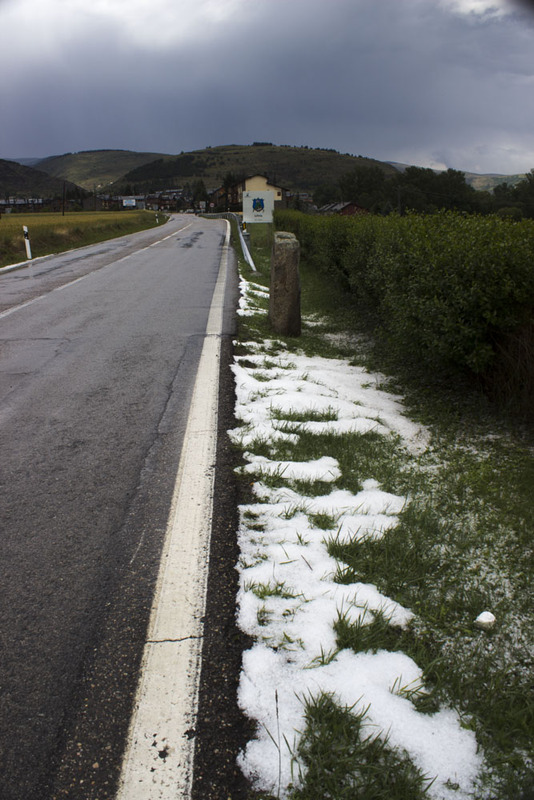 An incredible hail storm came along instead. It was so powerful that we were worried about the integrity of our windscreen, a particular concern on day one of a journey back to the UK. Perhaps we just had bad memories of tennis ball sized hailstones from Argentina many years ago. That storm severely damaged 100,000 cars in Buenos Aires! We drove gently through the streets and back up to the church where we managed to find shelter underneath a tree. Our next concern was whether or not the torrent flowing down the hill would become a flash flood and wash us away. Have we watched too many disaster movies??? It was a torrent of ice balls and quite strange to watch. The ice storm turned to torrential rain and eventually stopped. We decided against walking up to the ruins of the old castle which was a shame but clearly the most sensible option. It had been a very brief trip to Spain’s French enclave (or is it France’s Spanish enclave?) but we thought it had been well worth it for the quirkiness of the experience. We could live without sitting in a car during a hail storm like that again though. So it was back into France, then into Spain, then back into France and finally on our way to Andorra to spend the night.